As mentioned in last month’s newsletter, the Obree has been nominated for a prestigious design award. 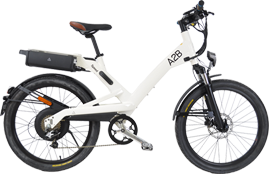 A2B’s forward-thinking approach and dedication to design that we continue to deliver since our launch of the first ever e-bike onto the market in 2008. Below is an overview of what we doing to capitalise on this opportunity, and what you can do in your market to exploit the opportunity more locally. First a reminder of the awards. The British Design Museum awards honour cutting-edge innovation and original talent from across the globe, showcasing emerging design trends. A2B’s Obree has been nominated in the transportation category – the link to the awards shows who we are up against (including a folding bike, but no battery – what use is that!) - see below. Winners will be announced later in the year. How can I use this opportunity to promote our design excellence in my market? 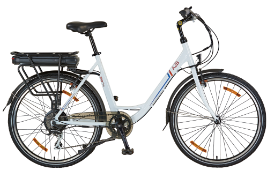 Other opportunities to promote our nomination and commitment to e-bike innovation will take place during May and June – more about that soon and how you can use it in your market. If you have any questions, please contact Paula at paula.knight@heroeco.com.